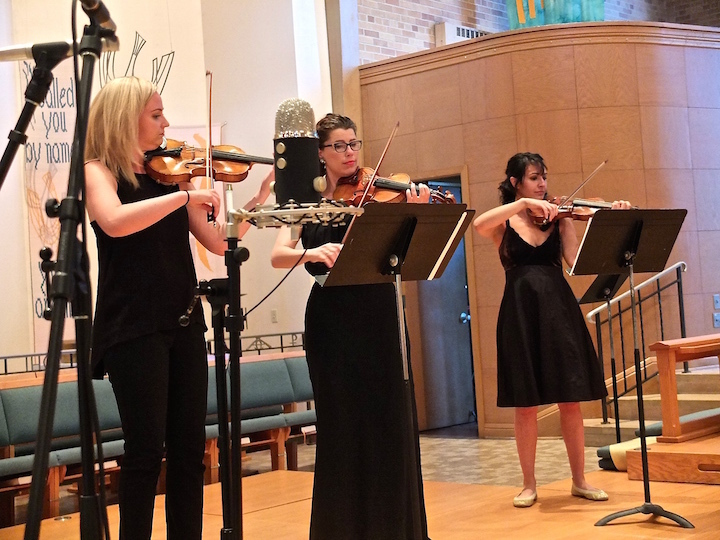 Surely the greatest and happiest surprise of this summer’s music season is the sudden emergence of the Willy Street Chamber Players (below), a group of mostly string players that almost seems to have popped up out of the ground spontaneously. 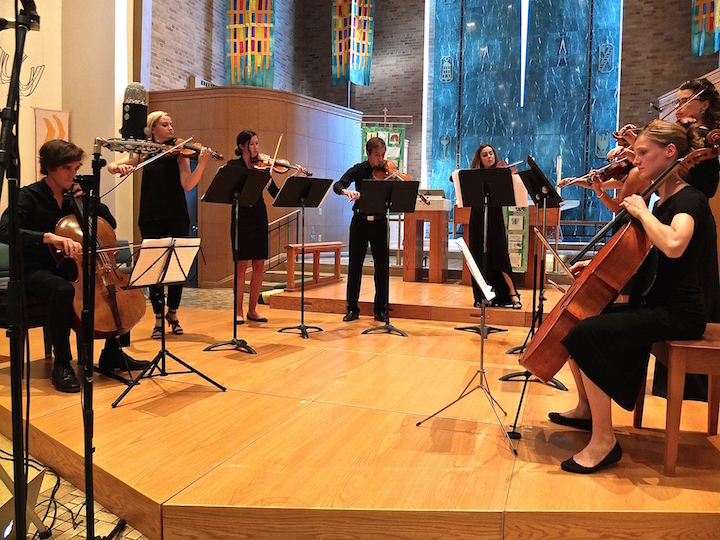 They have introduced themselves in four concerts on successive Fridays this month—experimenting with shorter-length, one-hour programs, and giving three of them at 6 in the evening, and one family concert at Friday noon. 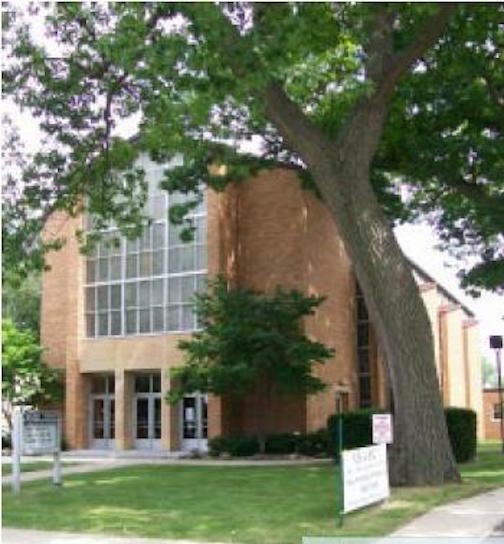 Each concert has drawn progressively larger audiences at Immanuel Lutheran Church (below top) on Spaight Street, on the city’s near East Side. 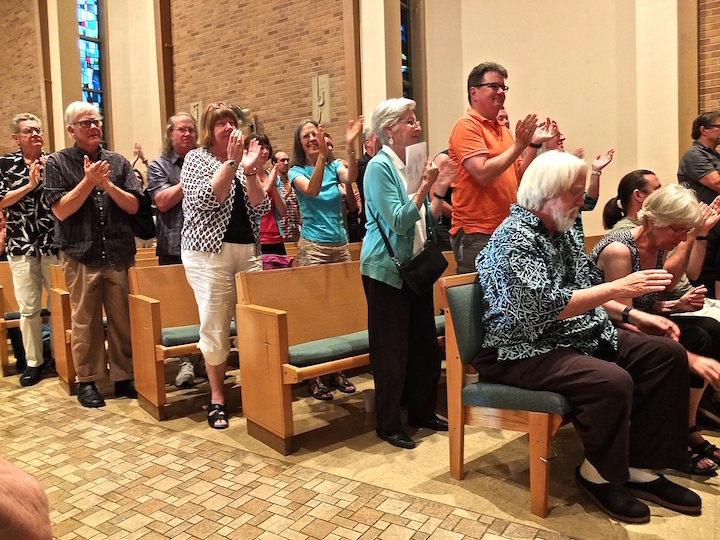 Most important, the group involves a bevy of former University of Wisconsin-Madison School of Music students who play with the Madison Symphony Orchestra and the Wisconsin Chamber Orchestra, and who are simply brimming over with talent and with the joy of making music together. 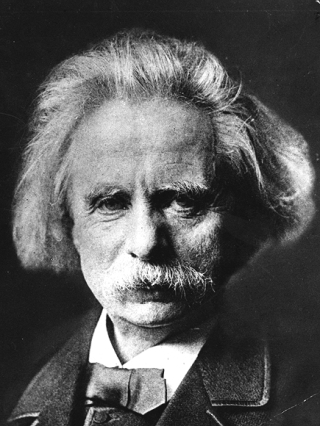 The Grieg prefaced their playing the first full-length work, Johann Sebastian Bach’s Brandenburg Concerto No. 3. As now properly recognized, the Bach concerto is a work for nine solo string players (three each of violins, violas, cellos — below top, second and third in that order respectively) with basso continuo from the harpsichord (below bottom). 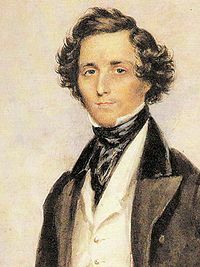 The final, and larger, work on the program was the Octet in E-flat by Felix Mendelssohn. This is the creation of an astoundingly precocious 17-year-old genius, and by general agreement it is a virtual miracle of composition. Mendelssohn’s recourse to such a demanding scoring was not without precedent. He composed this in 1825. 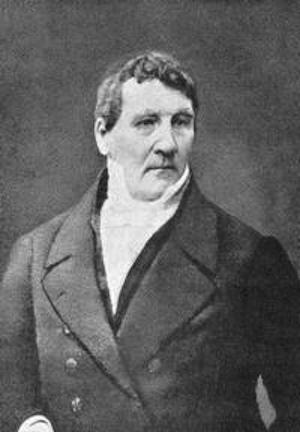 At about the same time, in the years 1823-47, the violinist-composer Louis Spohr (below) wrote four “Double Quartets” opposing two discrete string quartets against each other. And, quite frequently, in his writing Mendelssohn does adopt the same strategy, pitting two distinct groups against each other. But he also explores the possibilities of eight-part texture, rich in contrasting colors and contrapuntal invention. It both is, and is more than, a simplistic double quartet. 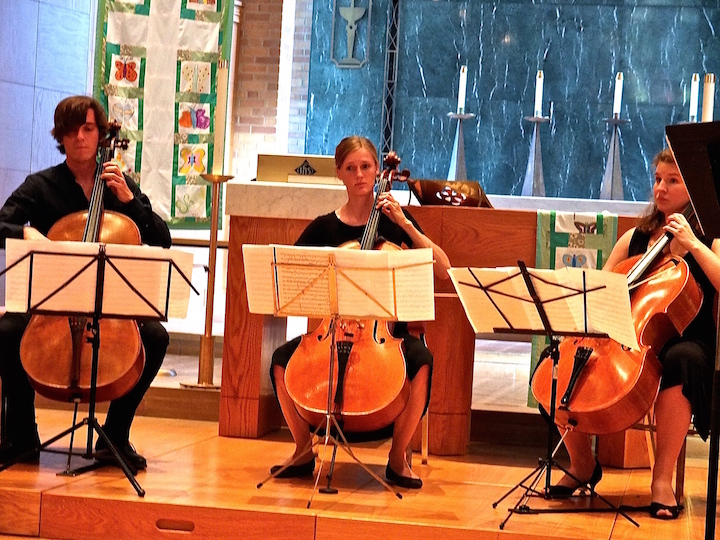 Our eight Willy Street players did position themselves (below) as two opposing string quartets — with the cellists out in front, for a novel emphasis on the bass line. Once again, it was such a benefit to watch these players engage each other in so many different ways. And with what spirit! Here was the music of a teenage genius, played by eight young players who threw their youthful élan into their work with unbounded passion. Yet there was also discipline, and the most careful nuancing of each player’s lines. 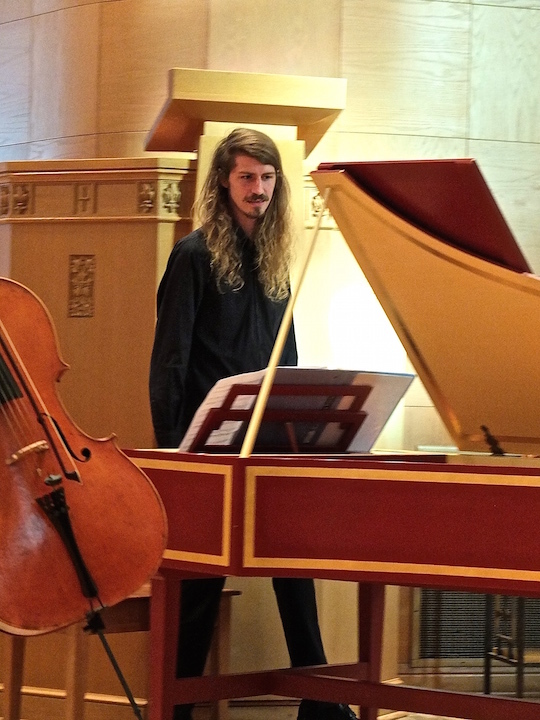 I would say that this is possibly the best performance I have ever heard of this work, certainly in live concert—something up to the highest professional and artistic standards. I find it difficult to express fully my excitement over the sudden creation of this marvelous pool of young musicians. They have made it clear that this was just their first season: they are planning to return next summer, with some possible activities in between. With minimal promotion so far, based on simple word-of-mouth publicity, The Willies — as I call them — have already found a swelling and enthusiastic audience. 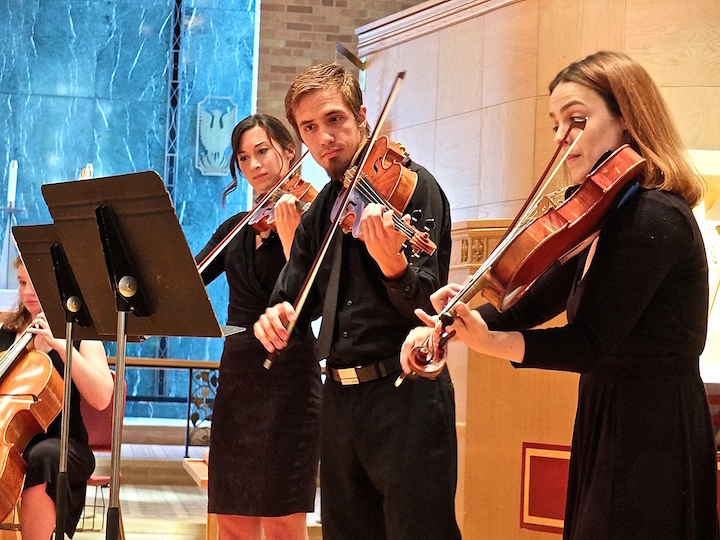 Madison’s lovers of highest-class chamber music should take note, support and attend. How can I say it better? They are simply fabulous! It is an enormous blessing to any community that is lucky enough to generate such players! Loved attending these concerts. Sharing music with others is truly their passion. I wouldn’t say simple word-of-mouth publicity. They were on WPR and in the Isthmus (your own review), I believe, and have a substantial roster of donors on their website. Impressive as their work surely is, it does not need John Barker sensationalism to sell tickets, anymore than the Savoyards needed your preconceived trashing last week.